Established in 2009, Khitan Bird and Pest Solutions have a wealth of industry pest control experience. In fact staff at Khitan have over 20 years in the field experience in dealing with all manor of pests and infestations from the domestic home to large flour mills and the majority of the high street names. Our staff are fully trained from the entry level qualification -R.S.P.H Level 2 standard to the prestigous BPCA Field Biologist and Degree level with ongoing personal development and continual training courses in their areas of expertise. Servicing customers from homeowners with simple one-off treatments for pests such as Wasp Removal, Black Garden Ants, Tropical Ants, Cockroaches, Bed-Bugs, Fleas or Rodent problems to more technical sites such as large food producers, retailers and distribution centres that require a site contract with regular routine service visits and in depth written and typed report writing to ensure they remain a legal pest free environment. Khitan Bird and Pest Solutions our located in Shrewsbury, Shropshire an undertakes both domestic and commercial pest control and pest prevention contracts for an array of clients throughout the West Midlands, Shropshire, Staffordshire, North and Mid- Wales, Cheshire, The Wirral and Merseyside into Greater Manchester. Completing Job work nationally as and when clients requesting Khitan Bird and Pest Solutions professional service. A team of well trained and experienced staff, who aim to provide a friendly, effective and professional pest control service to all our customers at all times. We do not sub-contract out any work and offer an in house solution to any pest you may have from simple rodent or insect control to our falconry service for bird control using one of our own falcons or hawks. All Khitan staff are qualified falconers through Lantra. Khitan Bird and Pest Solutions are proud members of the BPCA – British Pest Control Association, which is recognised nationally as the Pest Control Association . The BPCA is dedicated to promoting a professional approach and good practice across the pest control industry.www.bpca.org.uk. Khitan are registered professionals with Basis Prompt. 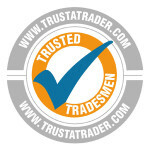 Are members of CRRU -Think Wildlife scheme and the only Pest Control member to be found on Trust a Trader in the areas we supply our services. All our pest control services across the North West, Midlands and Wales, ranging from rodent pest control to pest control prevention, can be tailored to your individual or company requirements. For more information about the types of pest control services we offer, please visit our services section of this website. Khitan Bird and Pest Solutions are building an enviable reputation for effective, no nonsense, reliable, quality pest control services within the industry. Khitan Bird and Pest Solutions also complete Grounds Maintenance services.